Note: All three services of Redemption Hill Church will gather together at Veritas School on January 29, 2017, at 10:00 AM. Please note this is a Family Sunday service, so childcare will only be available for Nursery and Toddlers. Full details below. 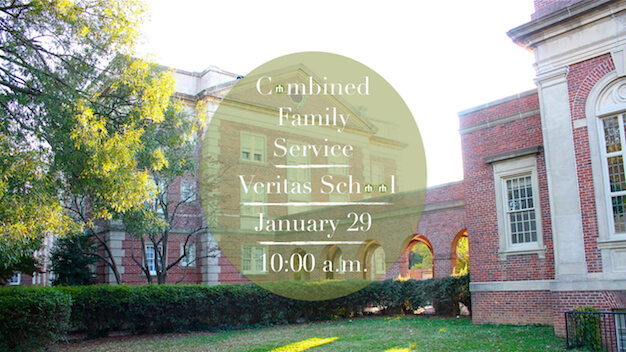 This Sunday, Redemption Hill Church will combine all three services into ONE Family Service at Veritas School (3400 Brook Road, RVA 23227). You can see parking instructions and building location on our fancy-shmancy interactive campus map below. 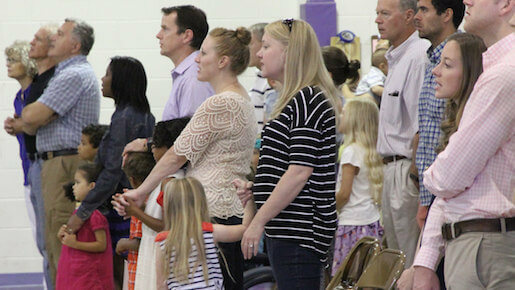 Invite your friends and neighbors as we worship and celebrate together as the larger Redemption Hill Church family. You can RSVP at the Facebook event page here and invite your friends and family. Robert Greene will be reminding us of God’s gracious provision for Redemption Hill Church over the past 9 years, as well as helping us reflect on what our hope and prayer is for the future. His text will be 1 Thessalonians 3:12-4:1. In addition to all of us being together under one roof, kids will be joining us for the larger gathering (childcare will be for nursery and toddlers only). We will also be taking up a special offering for our benevolence fund. The fund is specifically designated to allow us the ability to help those with extreme financial burdens and need. If you would like to give online, there is a “Benevolence” option on the giving drop-down. See you Sunday at Veritas!